What is it about pens? I love em'. I have three fountain pens that I've been given through the years. One by my lovely spouse several years ago for my birthday, and two that were anniversary gifts by the company for which I worked for many years. I'm not exactly sure what they cost, but I'd bet they cost more than my first car. But fountain pens, to me, make writing more elegant. When I write in my leather journal, or when I do book signings and other events, I always use one of my fountain pens. Somehow writing with a piece of handmade precision, makes me feel a little smarter and the things I write seem a cut above. But in the scheme of things, my pens are quite modest. Consider the info below. The Limited Edition Mystery Masterpiece, a joint creation between Mont blanc and Van Cleef & Arpels, is the most expensive writing pen ever created. Can you imagine, it costs $730,000! 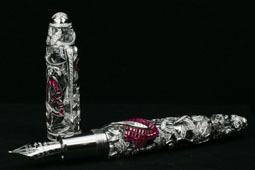 This amazing pen is truly a masterpiece of the jeweler's art. Each pen has 840 diamonds and more than 20 carats of gemstones set in a Van Cleef & Arpels patented "Mystery Setting" that conceals the stone settings. A groove is made on the culet, the bottom facet of the stone, which is then slid onto the threads of the lattice design so that the stones can be held in place side by side without any visible support. There are three variations, set either with rubies, sapphires or emeralds, and accented by diamonds. The three variations of these marvelous pens are limited to three releases each for a total of nine. The unique work took over a year and a half to create by skilled artisans..
What could/would you write with a pen that cost three quarters of a million dollars. 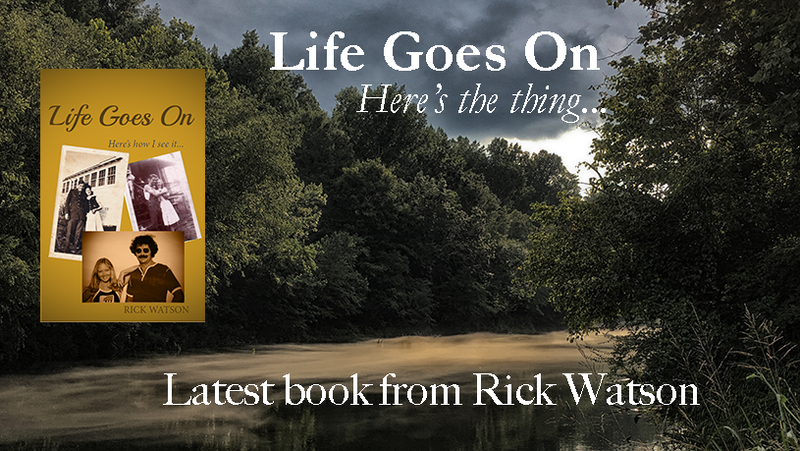 I'm not sure, but you'd look pretty darn good writing it. If ever I had a pen costing that much, it's staying in its case and is gonna be locked away in some vault somewhere safe! LOL!! I'm a pen lover too. I've had many but love wide rollerballs because they write so smoothly and make a statement. I've had a Mont Blanc (plain, without diamonds...) and it was beautiful but I didn't like the way it wrote. So now I settle for the $2.49 variety because I like the way it writes. In answer to your question, obviously a check! Checks, something I seldom write or even sign anymore. I use the Uniball brand pen with blue ink. My writing has become terrible too after learning to take Gregg shorthand at 120 wpm when young. I have a mont blanc ball point that my husband gave me over 25 years ago. It's perhaps one of three things I own that I would genuinely be sorry for the losing of. I use it every day, to write everything from inspirational notes in my journal to greeting cards, to my shopping lists. I have no idea how much it cost and I don't want to know either! yes - just as long as you don't lose it! !